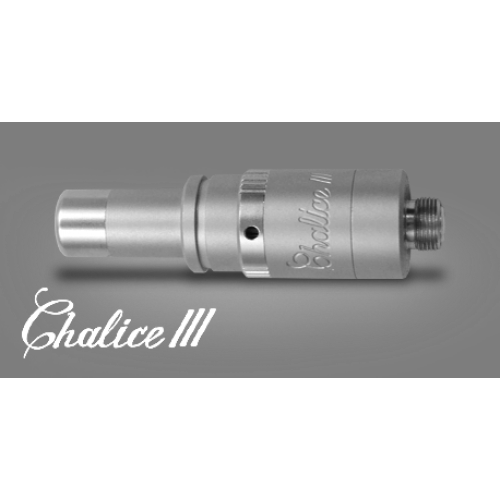 Is a bottom feeding atomiser made from stainless steel, the third version of the Chalice and can be used also for dripping. - the + and - posts are now diffrent from the previous versions, are threaded and also on top of them the nuts are the ones that will fix the wire. - the wick and coil will not be placed like before between the post, now the coil will be facing the air hole and you can play with its position the way you like for more vapor, more flavor, TH, etc. 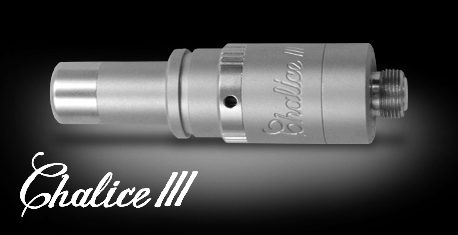 Chalice III comes with free shipping & Paypal fee for all orders.